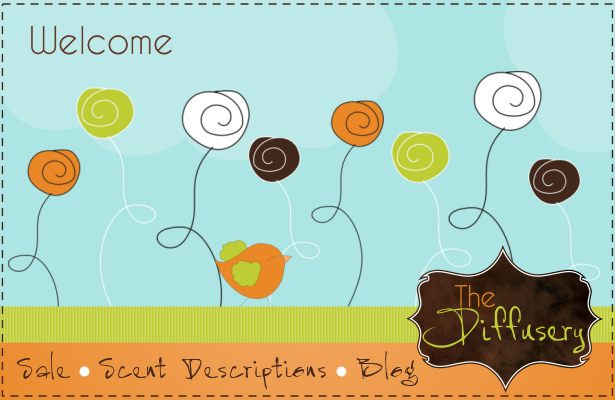 Thank you for visiting The Diffusery ! We are the choice source online for reed diffusers, reed diffuser refill oils, reed diffuser gift sets, replacement reeds and more ! Our reed diffusers are manufactured in the USA with the highest quality ingredients and are formulated to last for months- not weeks. Create your own reed diffuser experience by choosing scents that fit your tastes (more than 50 to choose from !) and glass bottles that match any decor or style ! ✿✿✿ Strong, Long Lasting Reed Diffuser Oils Made In The USA and formulated to last for months- not weeks ! ✿✿✿ Eco-friendly reed diffusers that are never tested on animals. ✿✿✿ Recycled Glass Reed Diffuser Bottles in tons of colors and sizes ! ✿✿✿ Create your own reed diffuser experience by choosing scents that fit your tastes or lifestyle (over 50 to choose from !) and glass bottles that match any decor or style ! Be sure to check out our sale oils ! Find out what's on sale this week Right Here ! The Diffusery has been featured in Better Homes & Gardens Magazine. You can find us on page 99 under "Gifts For Grads". You can see the feature in Better Homes and Gardens here. You can also check out our blog post about it here. Reed diffusers are the hottest trend right now in home scenting ! A group of rattan reeds are inserted into a glass bottle containing scented diffuser oil. That's all there is to it ! That is a complicated question as there are many factors that contribute to how long reed diffuser oils last. Use of fans, air conditioning, heating, humidity, closed doors, open doors, dehumidifiers, etc. However, as a general rule of thumb, our 4 oz. reed diffuser oils will last for approximately 3-4 months and our 8 oz. reed diffuser oils will last for approximately 6-8 months. Are reed diffusers environmentally friendly ? No. Once reeds have been used for a certain scent, you should not use them for another scent. The scent that is already absorbed into your reeds will mix with the new scent and could produce some pretty yucky scent combinations. You should use new reeds when you switch to a new scent or if they become clogged with dust. After prolonged use and complete saturation of the reeds, the channels can become clogged. Simply replace with new reeds to get the scent rolling again ! Whenever you notice the scent fading a bit or want an extra burst of fragrance. In our home, we flip the reeds in our reed diffusers about once per week. Does your reed diffuser oil base contain DPG or alcohol ? You can cut the reeds to any length you desire. Just use a regular sharp pair of scissors and snip the ends to the desired length. Only cut clean, unused reeds. For more answers to your reed diffuser questions, please visit our Frequently Asked Questions page. This is my third time coming back to buy your reed diffuser refill oils. Yours are the strongest I have tried. You have a customer for life ! I really loved the lavender reed diffuser gift set I ordered for my sister in law for her birthday. She loved it too ! Now I am back to get one for myself ! Read more customer testimonials about our reed diffusers Right Here ! Your online source for reed diffusers, reed diffuser gift sets, glass bottles, reeds for reed diffusers, fragrance oils, reed diffuser accessories, reed diffuser bottles and other home fragrancing products. We offer an extensive library of reed diffuser articles that contain answers to the most frequently asked reed diffuser questions. We carry Autumn reed diffuser scents/fall reed diffuser scents. We also carry a large selection of Christmas reed diffusers and holiday reed diffusers. Our glass bottles are great for your reed diffusers. We offer recycled glass in a multitude of colors that is sure to match any decor. Please use caution when setting reed diffusers on delicate surfaces as reed diffuser oils can damage some surfaces. We sell strong reed diffusers and long lasting reed diffusers.